21 Degrees Estate is a veteran-owned and family-operated boutique cacao farm and is located in Kahalu’u. Our full tours and tasting calendar can be found on the booking tab and we also frequently update currently scheduled events on our Facebook Page under Events. Please check back with us soon for upcoming events and activities or sign up for our newsletter and have the information sent directly to you. We host 2-hour tours in small groups for up to 20 people twice a week. If you have a private group of at least 25 persons, contact us about booking a private tour at a reduced rate. If you are a teacher or home school organizer, talk to us about the student field trip option for just $10/person with a minimum of 25. 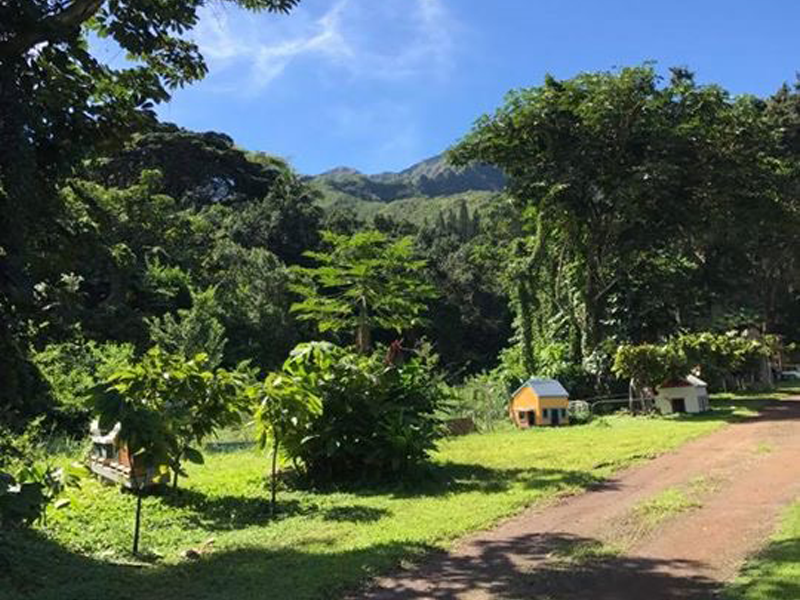 "The Most Charming Cacao Farm in America"
21 Degrees Estate is a family-owned boutique cacao farm and is located in Kahalu’u, on the beautiful windward side of Oahu. This area was known to Native Hawaiians as the “breadbasket of Oahu” with its rich and fertile lands, from the serene waters of Kaneohe Bay and rising to the breathtaking heights of the Ko’olau Mountains. 21 Degrees Estate strives to be “the most charming cacao farm in America,” with its spectacular vista and showcasing not only hundreds of cacao trees but also numerous examples of Hawaii’s natural beauty in native trees and tropical flowers.